If you are anything like us, you watched American Idol up until it started suffering from WGWG (White Guy With Guitar) Syndrome and hired Nicki Minaj. If that’s you then you know exactly who second season runner-up Clay Aiken is. He was a socially awkward guy with glasses, slumped shoulders, and a voice born from heaven. Then, they gave him contacts and a haircut and his outsides looked more like his insides. It was a true Cinderella story. Well, now, he may be adding Congressman in front of his name. He is running as a Democrat in North Carolina’s second district against Republican Representative Renee Ellmers. On Wednesday, he released a heartfelt video announcing his candidacy and telling a bit of his heart-wrenching personal story. He also took a jab at Ellmers’ voting record as it pertains to military families, North Carolianians, and the country at-large. I found the video genuine and compelling. I believe him. But, I don’t live in North Carolina so I guess that matters not. Back in the day, I was an Aiken supporter. I voted for Ruben Studdard to win (and he did) but I always liked Clay. Since then, he came out as gay and became a parent. He has sold quite a few albums and remains an all-around cool guy in my humble opinion. So, let me just say, I’m here for this. 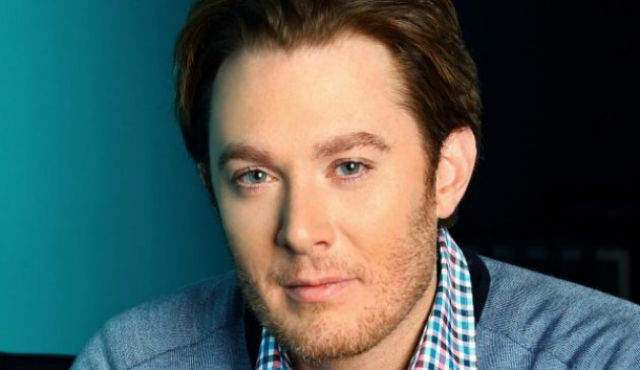 If Arnold Schwarzenegger can be governor, Clay Aiken can certainly become a productive member of Congress. Let’s see what his potential future constituents think this election season. Trump just gave the longest Black History Month speech with no knowledge of Black people or our history.